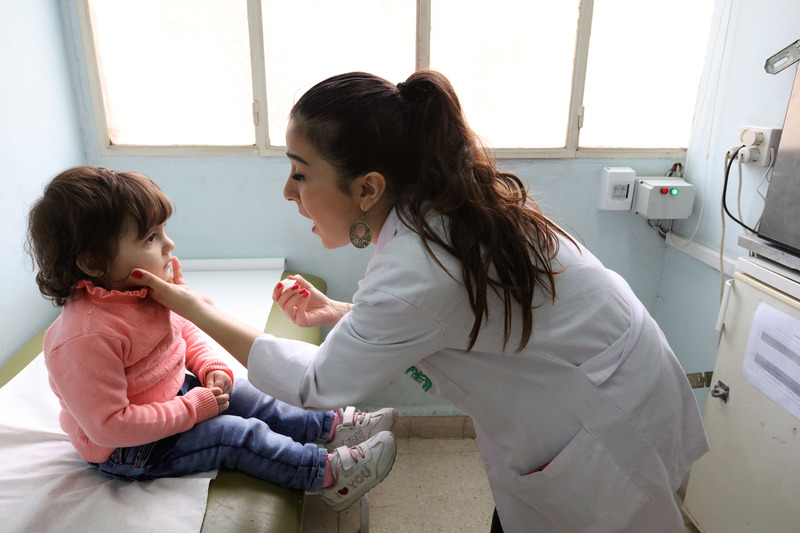 These loan programs were designed to increase access to quality health care for thousands of poor families in Lebanon—both Lebanese and Syrian. Health care in Lebanon suffered from structural problems even before the Syrian crisis. The influx of Syrian refugees has put enormous added pressure on health services and contributed to rising tensions in a nation vulnerable to conflict and instability. The $150 million projects are being financed in parallel by the World Bank ($120 million) and the Islamic Development Bank ($30 million). They aim to reach 715,000 people. The projects will focus on strengthening the capacity and resilience of both primary and hospital-level institutions. This includes expanding the range and quality of services provided to vulnerable populations at the primary health care level, and strengthening physical, technical, and organizational capacity at the hospital level to address the budget limitations hampering the provision of care. The project will provide the targeted population with (i) gender-specific wellness packages; (ii) treatment for the most common non-communicable diseases, such as diabetes and hypertension; (iii) reproductive health services; (iv) mental health services; and (v) services for the elderly. The projects build on a 2015 grant of $15 million managed by the World Bank that is financing the rehabilitation of some 75 clinics across the country to provide better quality health care in rural and marginalized communities. Given the integrated service delivery model under which both Lebanese and Syrian refugees access services at the same facilities, the Concessionality amount and the current loans will both benefit the two populations in Lebanon. Such international support promotes the government’s efforts to set clear development objectives even as it strains to confront the economic fallout from the Syrian crisis. The projects are being implemented in 204 primary health care centers (PHCCs) and 28 general public hospitals distributed over the whole country. Facilities chosen are those serving a high portion of poor Lebanese and displaced Syrians.